Do you want to improve employee morale? Would you like greater teamwork, especially across departments? How does elevating your customer service quality — both internally and externally — sound? Here’s a really simple way to do it. Now, when I say “Simple” I don’t mean that’s ALL you need to do to get the above results. However, what I am about to recommend is both simple and powerful. This practice yields huge results without costing a penny. It’s the simple process of Spreading Goodwill. Notice and acknowledge when others — whether direct reports, peers, or “superiors” — do something really well, give great customer service, or go above and beyond the call of duty. Let people know when you’ve heard others say good things about them. Doing these two things not only boosts morale and creates more of a “We’re all in this together” atmosphere, it also helps reinforce desired behaviors — i.e. those behaviors that help you achieve your business goals. Let me give you two brief examples of Spreading Goodwill which came up recently with a group of managers I’ve been working with. The first example involves Michelle, who works in patient checkout for Gastroenterology Professional Association’s Sommersworth, New Hampsire office. During her visit, a patient gave Michelle a glowing review of Rhonda, an appointment scheduler from the practice’s Portsmouth office. She was clearly — in the words of Ken Blanchard — a Raving Fan of Rhonda’s. In many organizations, co-workers would not bother to pass along such feedback. Whether due to lack of awareness that acknowledgment makes such a difference, feeling too busy to take the time, or being stingy with praise for whatever reason, they would keep it to themselves. Rather than keeping the praise to herself, Michelle passed along the feedback to Rhonda’s supervisor, Jannelle, who then shared it with Rhonda, along with “Rock on!” kudos of her own. Notice how Michelle not only passed along the feedback, she did so through Rhonda’s supervisor. This extra touch adds to the value of the acknowledgement. Doing so gives Rhonda the extra morale boost of knowing her boss heard about the compliment. What employee wouldn’t want that? Michelle’s little extra dose of mindfulness made her Spreading Goodwill gesture even more meaningful and powerful. The second example involves Lynne, a Nurse Manager with the same practice. She received effusive praise from a patient about one of their employees, Megan, a medical records technician. Rather than just sit on the feedback, as many overworked managers might do, she called up Megan’s supervisor, Tisha, and left her a message telling her what Megan’s fan said. Now Tisha could have simply relayed the message to Megan, but instead she replayed the message, so Megan could hear it for herself. She didn’t simply relay a third hand version of the feedback, which creates more distance and therefore less impact. She let Megan hear Lynne’s firsthand telling of the story, which is far more powerful. It’s like the difference between having someone tell a story they heard versus hearing the story told by the person who had the experience. The latter creates a much more powerful impact. While this practice of Spreading Goodwill is useful in any organization regardless of the circumstances, it is even more important during difficult times. It’s even more valuable to make Spreading Goodwill a regular practice during difficult times, because it helps offset the negativity created by fear. Both the sender and receiver of the goodwill gesture feel uplifted. When a whole workforce practices Spreading Goodwill, it boosts everyone’s spirits, energy level, and overall morale. If you’re a senior level leader, share this article with your team and discuss what impact it would have if you instituted this practice, starting with your team as a role model. If you’re a supervisor or mid-level manager, YOU can lead the way. You can create your own pilot study demonstrating its value. 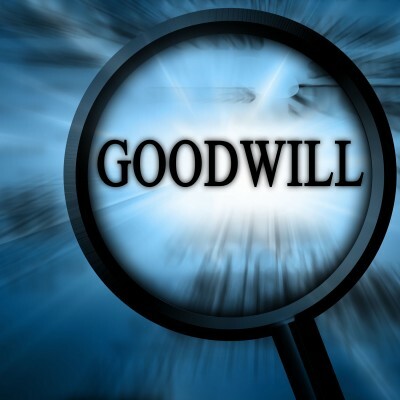 Coach your team to spread goodwill and notice the response they get. As others experience what it’s like to be on the receiving end and how it affects their perception of your team, they’ll want to “pay it forward” by Spreading Goodwill to others. Get the ball rolling right now by having team members make a list of people within your organization who they see as exemplars, people they appreciate. Then start the process of letting them know. Ask your team to be continually on the lookout for opportunities to acknowledge and appreciate. Share these stories in your meetings. This both keeps the good feeling going and helps your team become even more tuned into opportunities to Spread Goodwill.